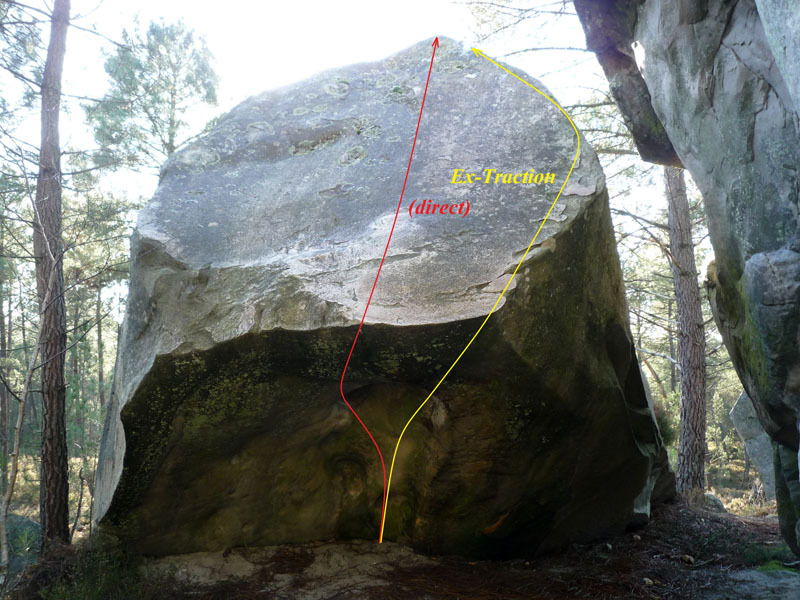 On the boulder to the opposite of n°3 orange, 10m underneath Tentation. . Sitstart in the overhang, two hands on the sidepull, take the arête right hand and exit with a mantle on the slab.